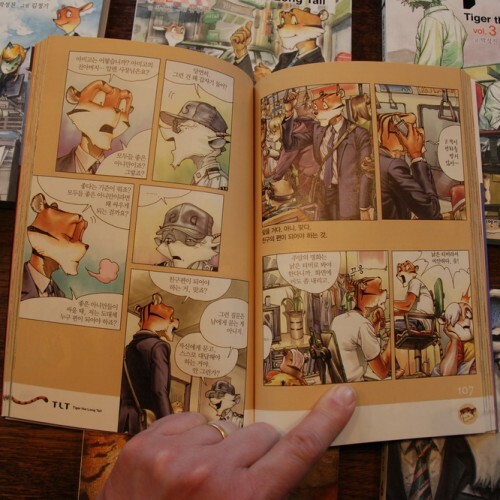 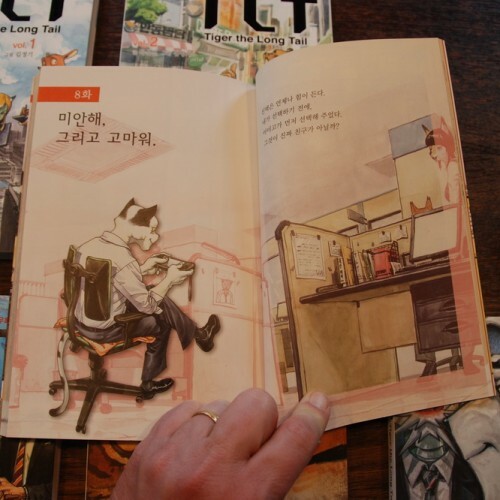 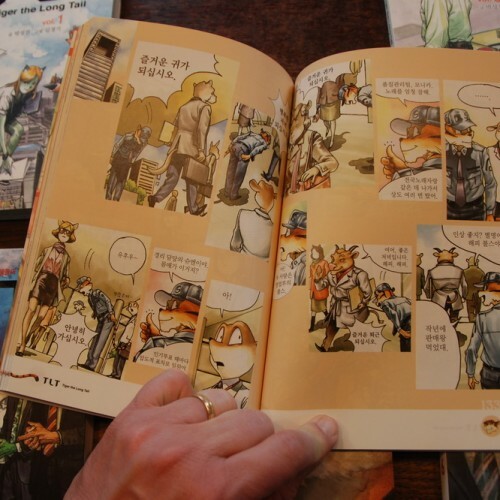 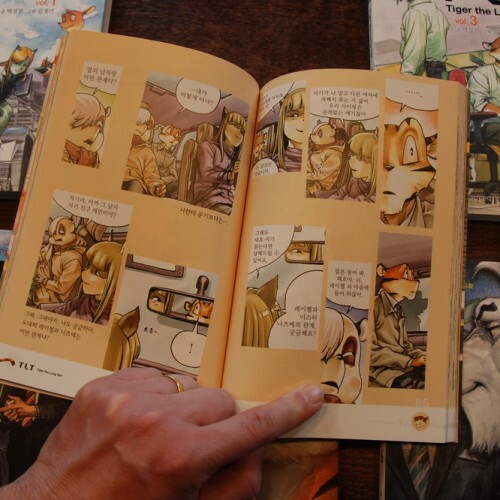 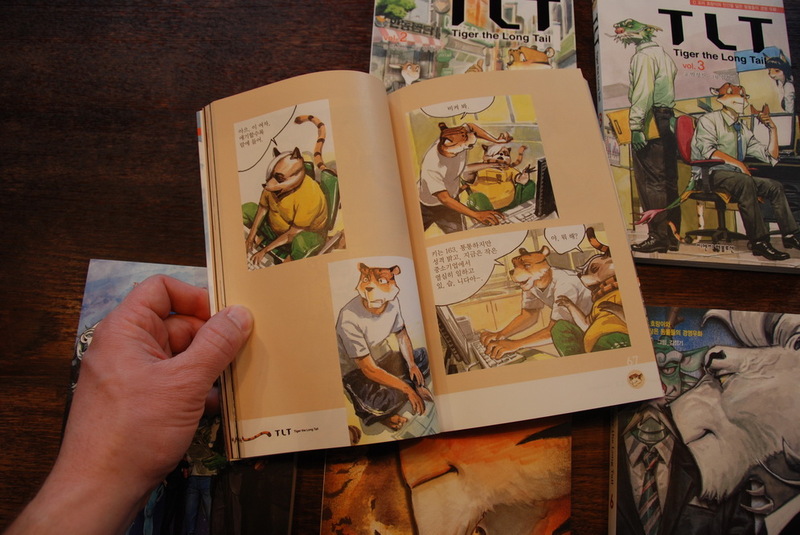 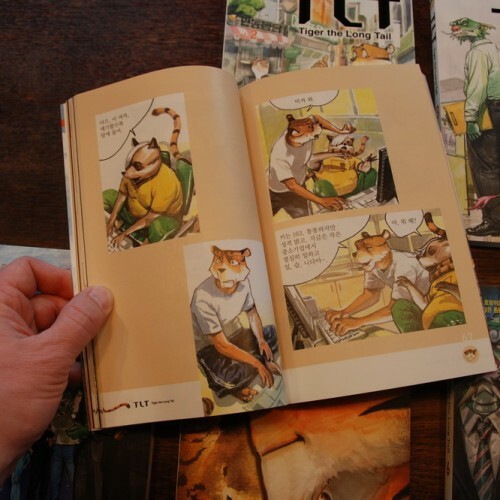 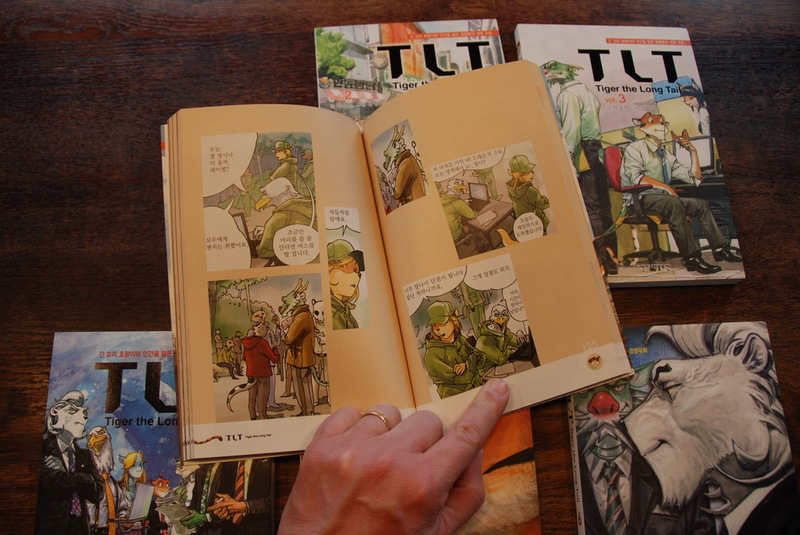 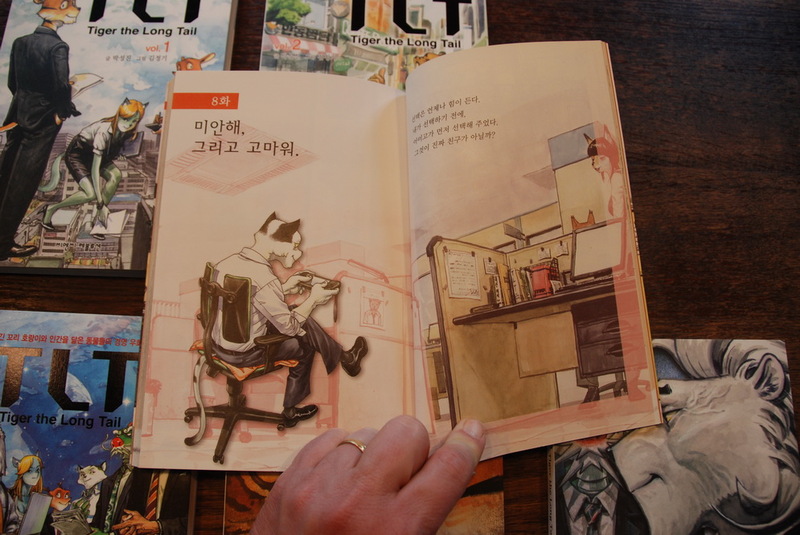 Tiger the Long Tail -or TLT– is a series of 6 comic books illustrated by KIM Jung Gi and written by Seung-Jin PARK. 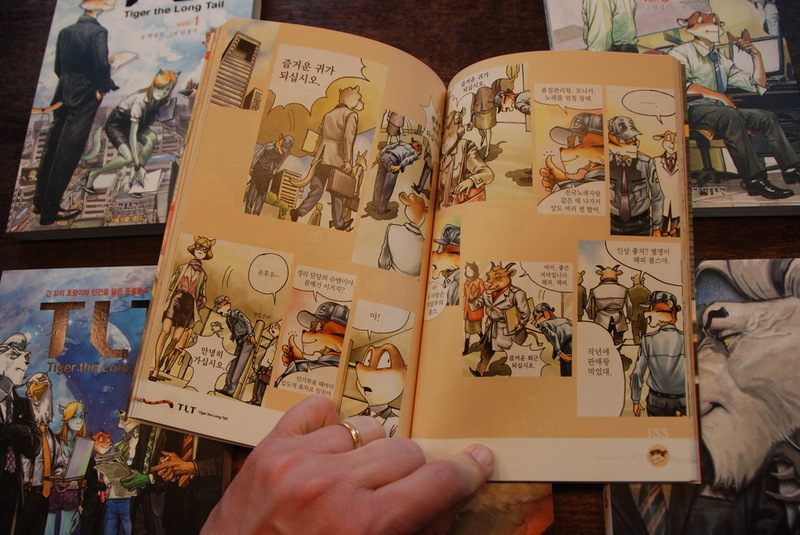 It was published by CNC révolution between 2008 and 2010. 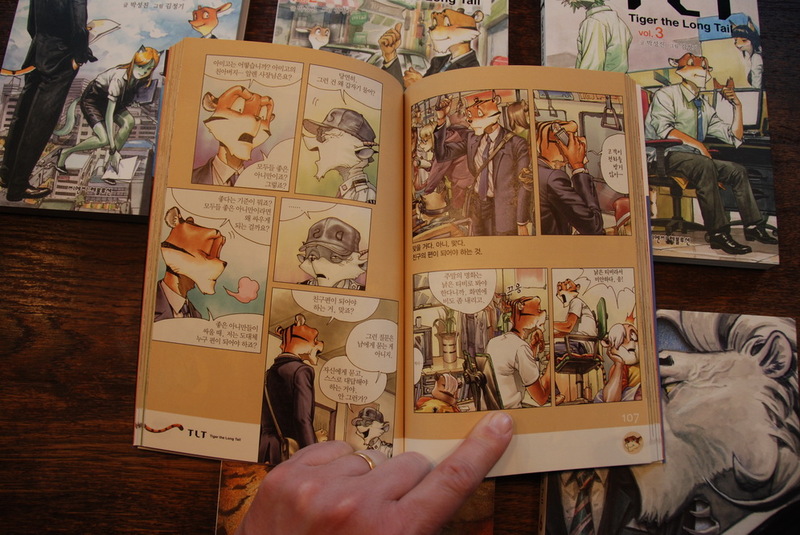 There are two different styles used for this 6-volume series. 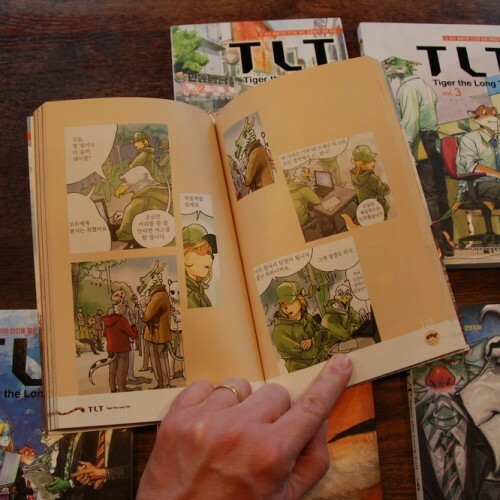 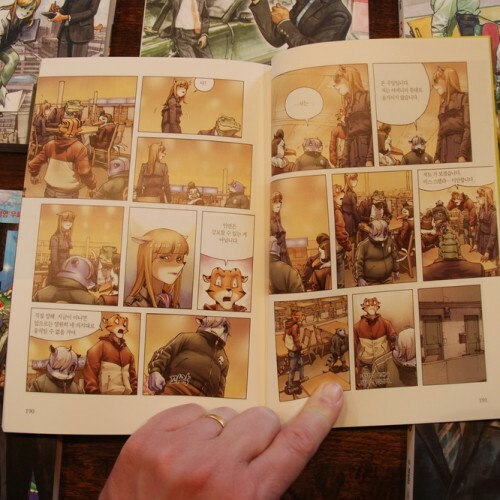 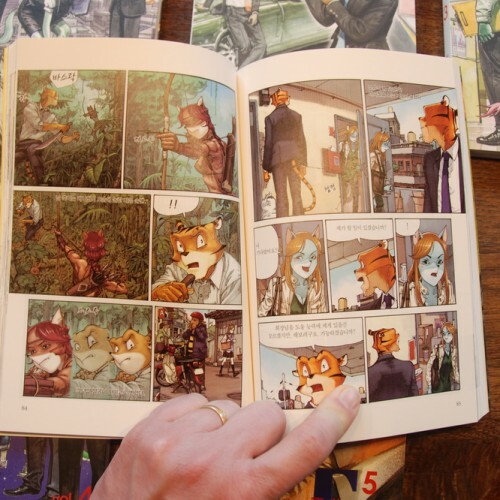 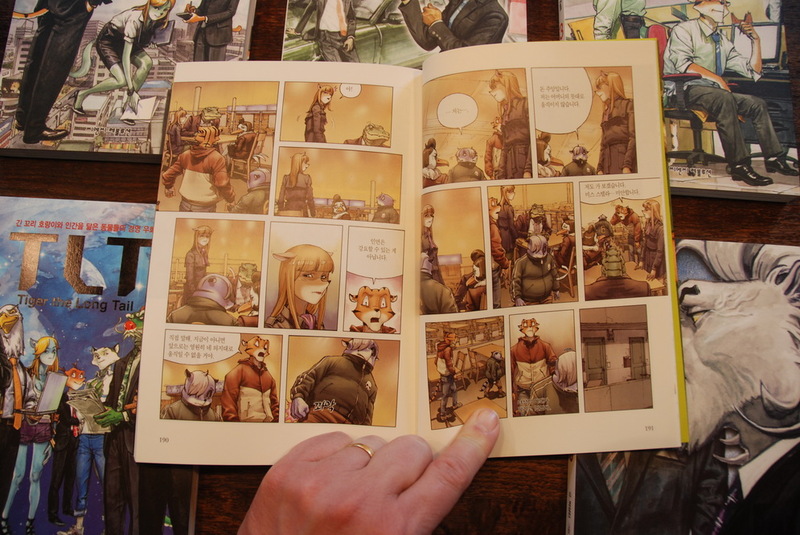 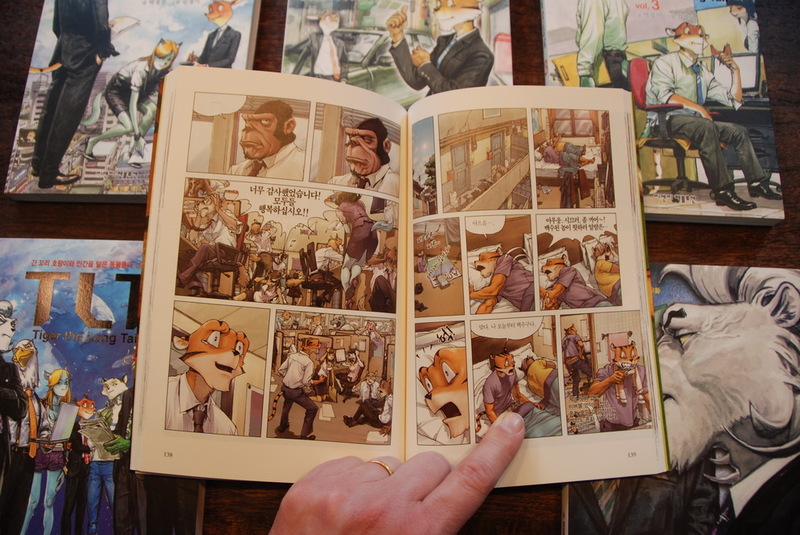 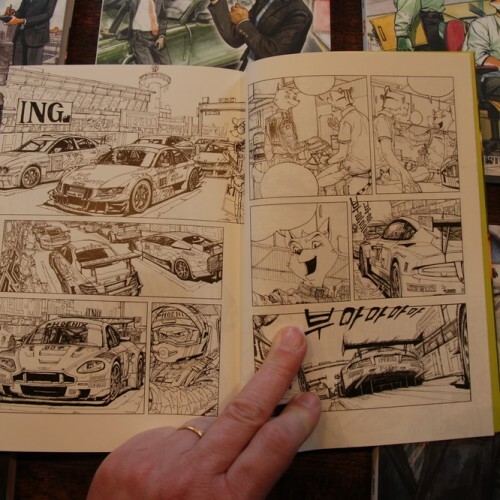 The first 4 volumes are not in the traditional comic book style, rather they have 3 or 4 small illustrations per page that work as comic panels, sometimes with sub-text. 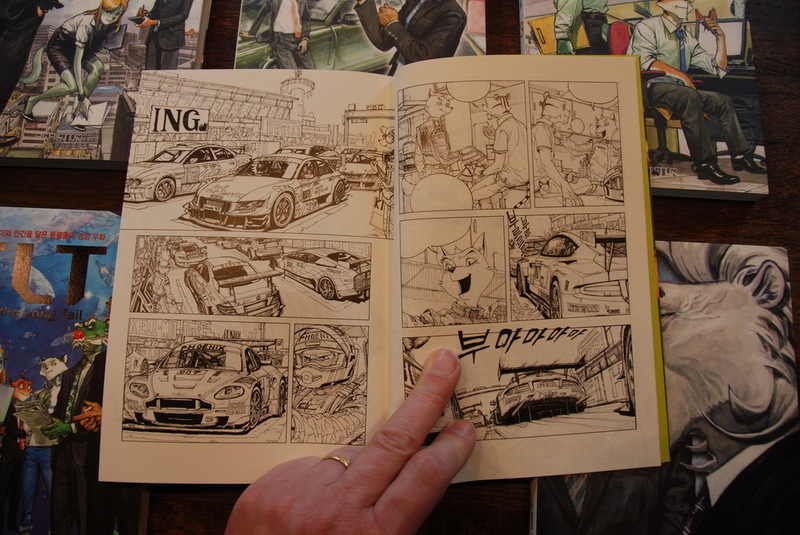 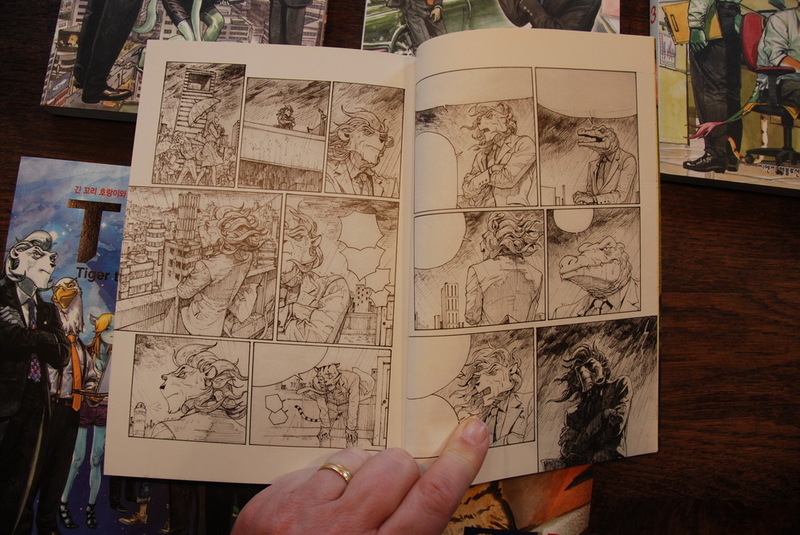 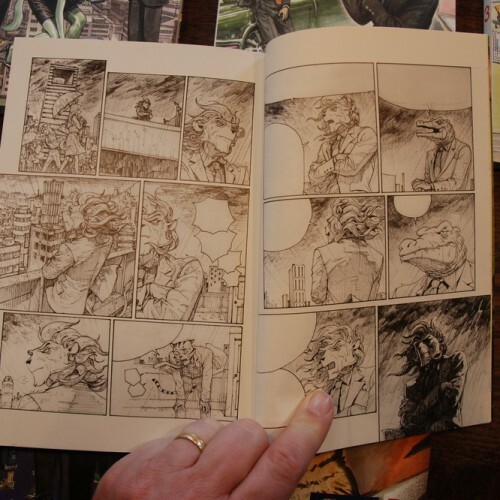 Volumes 5 and 6 are traditional, with full comic pages and include bonus pages in black & white. 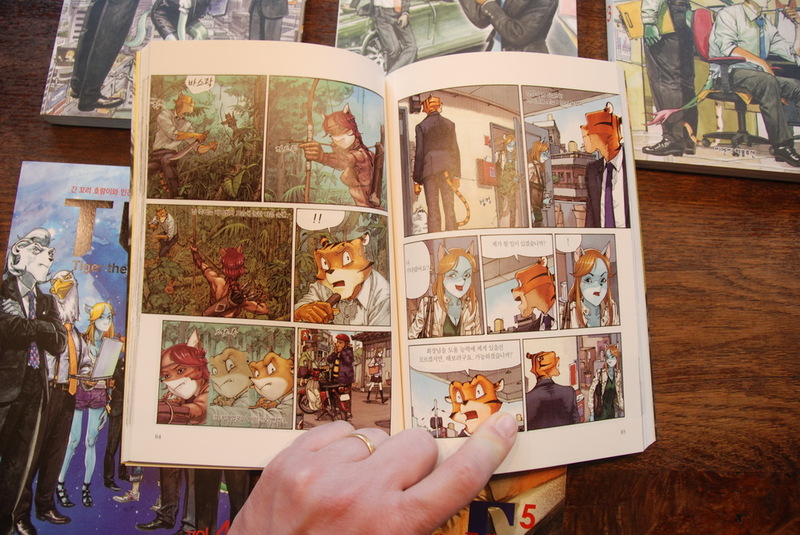 Each book is about 200 pages, for a size of 20×15 cm. 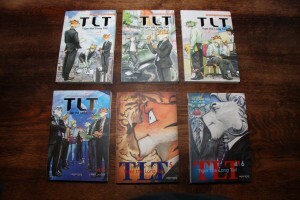 These books are, sadly, not available for sale on our website… but we are dedicated to making it possible! 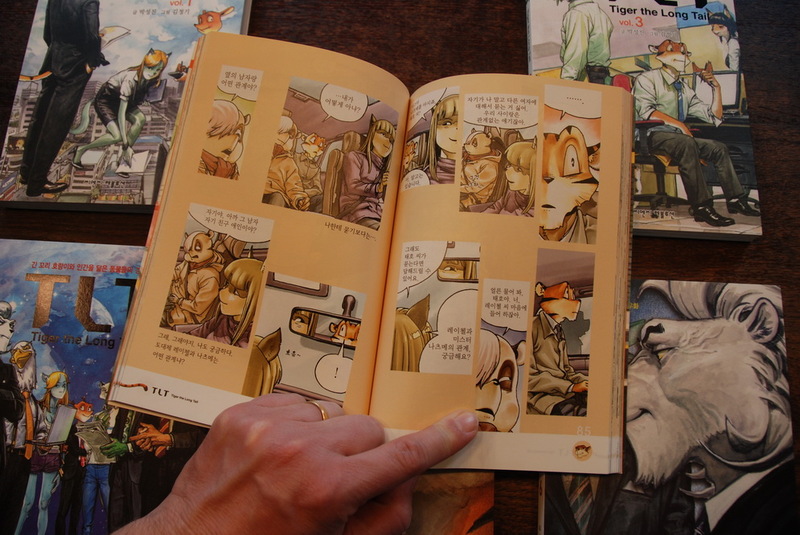 Oh, and I almost forgot… the book is only in Korean!